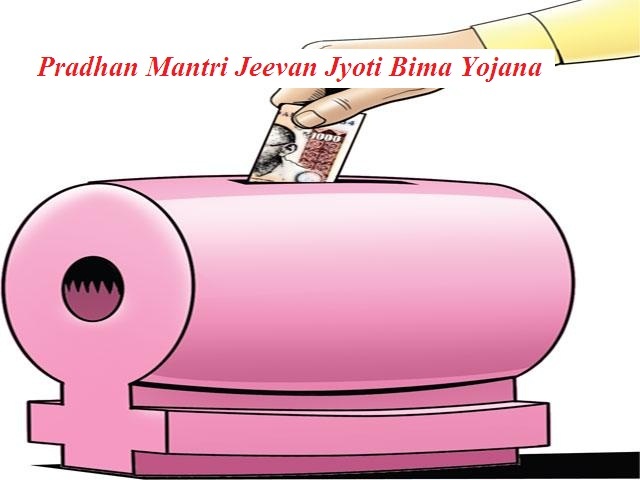 Hon’ble Prime Minister of India Shri Narendra Modi launched the PRADHAN MANTRI JEEVAN JYOTI BIMA YOJANA in Budget 2015. Keeping in mind, the needs of common man or Aam Aadmi, this insurance scheme is designed which will pay life insurance risk cover of Rs. 2 Lakhs for death (normal/ accidental) due to any reason. It is a one year cover scheme which is required to be renewed from year to year. This Bima Yojana will be administered through Life Insurance Corporation of India (LIC). Other life insurance companies can also offer the scheme on similar terms with necessary approvals by tying up with banks. All citizens in the age group to 18(completed) to 50 (running) years can participate in this insurance policy with their savings bank account. The cover will be valid, if one opens the account before attaining the age of 50 years, up to the age of 55 years, if premium is paid regularly. One person can join through one savings bank account only. The premium per year is Rs. 330 per annum per member. This amount can be auto debited from the user’s savings bank account. Aadhar will be the KYC ( Know Your Customer ) for the bank account. Any member can exit the policy at any point of time and rejoin again by providing necessary documents. It is a low premium insurance scheme which gives life insurance cover of Rs. 2 Lakhs in case of natural or accidental, for one year from the period of 1st June to 31st Every year it is to be renewed. It shall be administered by LIC and shall be linked with the Pradhan Mantri Jan Dhan Yojana. Other life insurance companies can also take up the scheme with necessary approvals and working under prescribed norms and tie ups. Persons in the age group of 18 years (completed) to 50 years (running) can register for this scheme. They must have a valid savings bank account. The yearly premium of Rs. 330 per annum will be deducted from their account with their consent through auto debit process. The life cover may stay intact upto the age of 55 years if the account is opened before attaining the age of 50 years. This is a one policy per person insurance scheme that means a person cannot link multiple bank accounts to this scheme. The Aadhar no. will be the KYC for the banks from which linking will be made. There is a feature of nomination where the person can give a nominee name in the form along with relationship. Annual premium is Rs. 330 which comes to less than Rs. 1 per day. The breakdown of the premium amount is Rs. 289 for insurance premium to LIC or other insurance company participating, Rs. 30 for expense done by BC/ Micro/Corporate/ Agent and Rs. 11 for administrative expenses done by the participating bank. This premium shall be paid in one installment which will get deducted in May of every year from the savings bank account linked with the policy. This will be an auto debit system which will be done after taking consent of the user. There is no other means of payment. The claim settlement police shall be very simple and user friendly and will be finalized by LIC after consulting the participating bank. The insurance scheme will terminate and no benefit will be paid to the person is he/she attains the age of 55 years or the savings bank account linked to the scheme is closed or has insufficient money.